A dose of AI can't make a dull phone exciting. In a vacuum, the LG G7 ThinQ would probably be in the running for best Android phone of the year. But when considering everything else on the market (including LG’s own handsets), LG might have been better off just skipping the G7 entirely. That’s not to say it’s a bad phone (note my 4-star rating), or even one I wouldn’t recommend. It’s just that there’s nothing about the G7 that will matter a year from now. It’s a good phone with good looks and good specs, but in a sea of good phones with good looks and good specs, there’s nothing about the G7 that really stands out—even among LG hardware. Replace the G7’s Snapdragon 845 processor with a Snapdragon 835, and you’ve pretty much got the V30S ThinQ, which in turn is a modified V30. 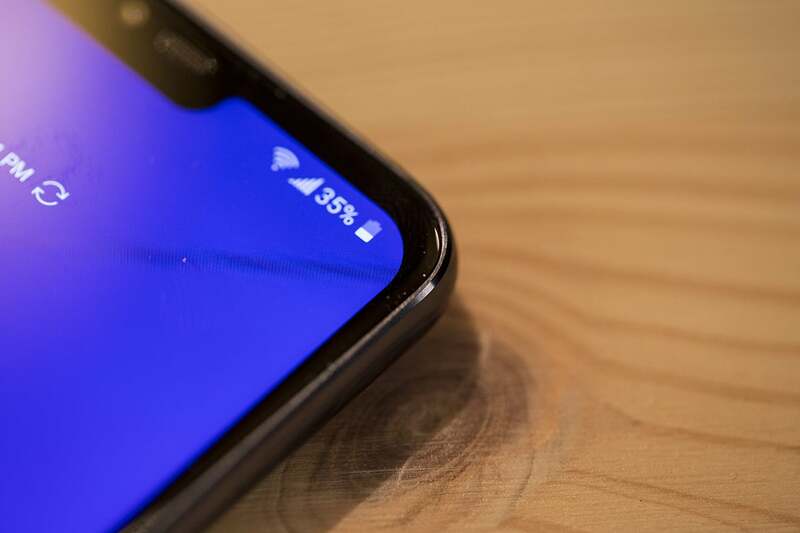 Take away the G7’s display notch, and you have the AT&T- and Google Fi-exclusive V35. In fact, there’s so little separating LG’s last four phones, the G7’s existence only draws attention to the company’s need to consolidate its premium lines. As a sequel to the G6, the G7 ThinQ has pretty much everything you’d expect it to have. 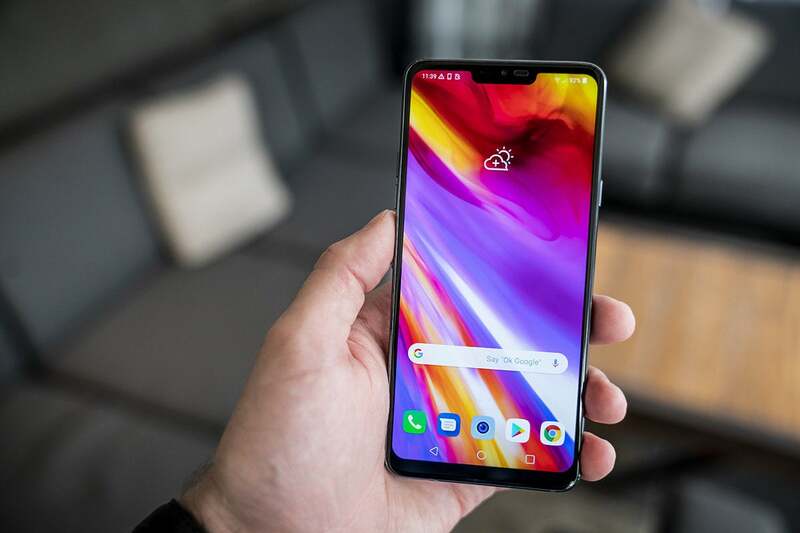 The screen size has increased from 5.7 inches to 6.1 inches (albeit with a notch), it has the latest Snapdragon processor, and the camera has received a megapixel boost and a dose of AI. Basically, this update checks off all the boxes. The LG G7 actually looks better with its notch than without. Let’s start with the most controversial feature: the so-called new second screen. That’s what LG is calling the area around the notch on the G7, but if you’re thinking the G7 has revived the V20’s best feature, you’re going to be disappointed. First off, the second screen is merely an extension of the actual display. And second, it doesn’t offer any functionality beyond the standard status bar, and the only customization features to speak of are a handful of very odd color options. I can’t imagine why anyone would want to use anything other than a black bar (as seen in the photo above), but if you want to put a rainbow gradient at the top of your screen, you can. 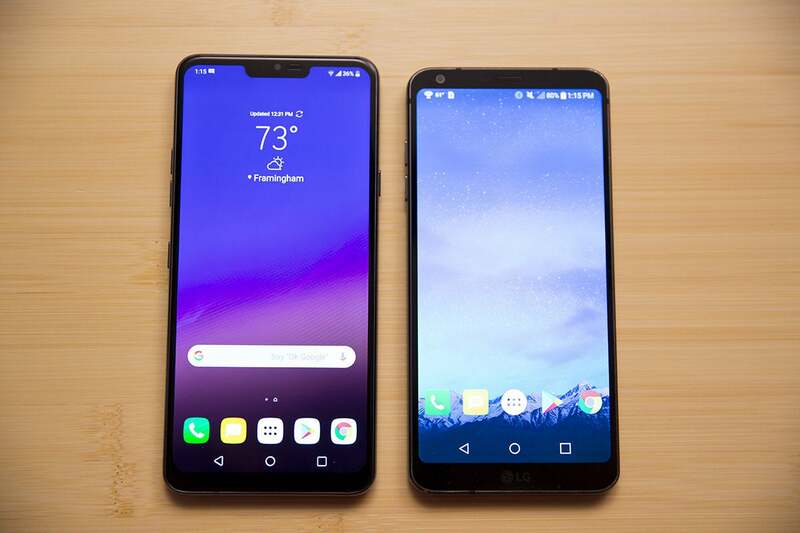 The notch makes the G7’s screen slightly taller than the G6’s, with a 19.5:9 ratio rather than 18:9. But the usable area below the screen has the same Quad HD+ 1440 x 2880 resolution as last year’s model. LG has stuck with an LCD for the G7 after switching to OLED for its V30 variants, and that’s mostly a good thing. On the plus side, LG’s LCDs are among the best in the business, with bright, vibrant colors and crisp rendering. The M+ technology on display here is more vibrant than the V30’s OLED, using an RGBW color array to boost brightness (which reaches 1,000 nits) and efficiency (which is 30 less power hungry than the G6). But LCDs are still old tech, so most people would rather have OLED, even with the V30’s flaws. Next to the 5.7-inch G6, the 6.1-inch G7 is monstrous. For example, as good as the whites are on the G7, the blacks are nowhere near as deep as they are on the S9, Pixel 2, or even the V30. The V30 has its share of issues with color accuracy, saturation and banding (I haven’t had a chance to test the V35, so I don’t know if it’s been fixed), but the G7’s blown-out blacks are a tough trade-off, especially when you’re trying to hide the notch. That’s not to say the G7’s screen is bad, but when compared to its OLED peers, the difference is evident, particularly when brightness is boosted. For a phone with the word “thin” in its name, the G7 feels surprisingly chunky. At 7.9mm, it’s about the same thickness as the S9+ and the Pixel 2 XL, but its flat edges give it a girthier feel. The new button below the volume keys goes straight to Google Assistant. Longtime LG fans will be surprised to discover the G7 has a proper power button along the right edge. The rear fingerprint sensor remains but actually pressing it does nothing on the G7 (and you can’t swipe to see your notification shade either). The other button change is a dedicated Google Assistant key just below the volume rocker on the left side. I’m not sure we need another way to summon Assistant, what with far-field microphone support for “Hey Google” and long-pressing on the home button, but at least LG didn’t force its own Assistant on us. And double-pressing to jump straight to Google Lens is neat. All in all, LG has done a fine job of upgrading the body its G series without abandoning its industrial character. 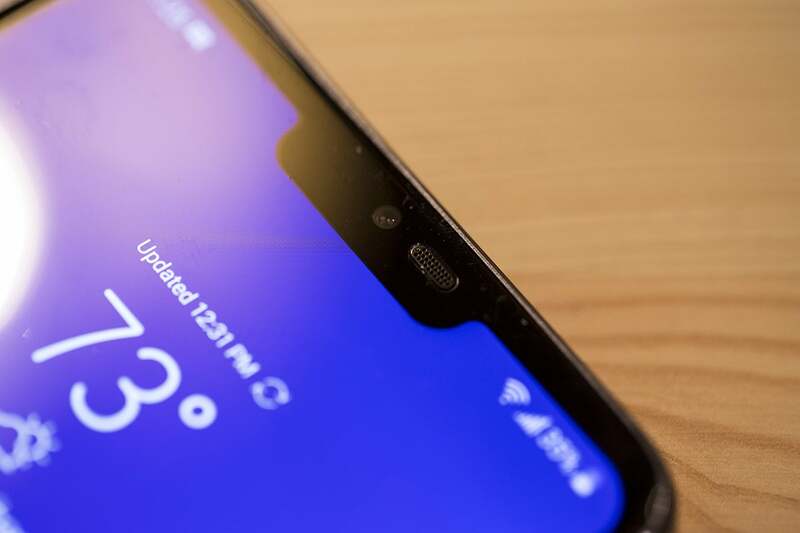 Sure, the company has played it safe with the G7, relying on the notch as the main visual distinguisher between the G7 and the rest of the LG flagships. And the notch is a feature most people will probably opt to hide anyway. But even so, the G7 is still a good-looking phone, even if it isn’t as striking as the OnePlus 6 or the iPhone X. The LG G7 has typical 2018 flagship specs, with a Snapdragon 845 processor, 4GB of RAM, 64GB of storage, and a 3,000mAh battery. That means it performs well, and will likely last you though a full day, though you’ll definitely need to plug it before you go to bed. In my testing, the battery was on par with the somewhat disappointing Galaxy S9, clocking it at just under eight hours of screen-on time. The top bezel on the LG G7 is slightly thicker than the side, throwing the whole balance out of whack. But while the G7’s 7,800 Work 2.0 benchmark scores are in line with those of its Snapdragon 845 peers, LG’s UX 7.0 interface doesn’t do the G7 any favors. The latest version is based on Android 8.0, but it doesn’t feel as slick or modern as an Oreo skin should. The options and customization that LG fans love are all here, but the Oreo additions make the OS feel clunkier than it should, and the whole thing is less intuitive than stock Android. It ends up making the G7 feel slower than the S9 and other Snapdragon 845 phones, even if it’s techicially as proficient. The Settings app is so overflowing, it’s nearly in possible to find anything without resorting to the search field, and elements like the app drawer and notification badges are less elegant than they are in Android proper. It’s hard to pinpoint exactly what’s wrong with UX, and that’s kind of the problem. Where LG once paid careful attention to how software integrated with hardware on its smartphones, UX 7.0 Oreo has basically become uninspired and bloated. It might be time for LG to go the Android One route with future phones. 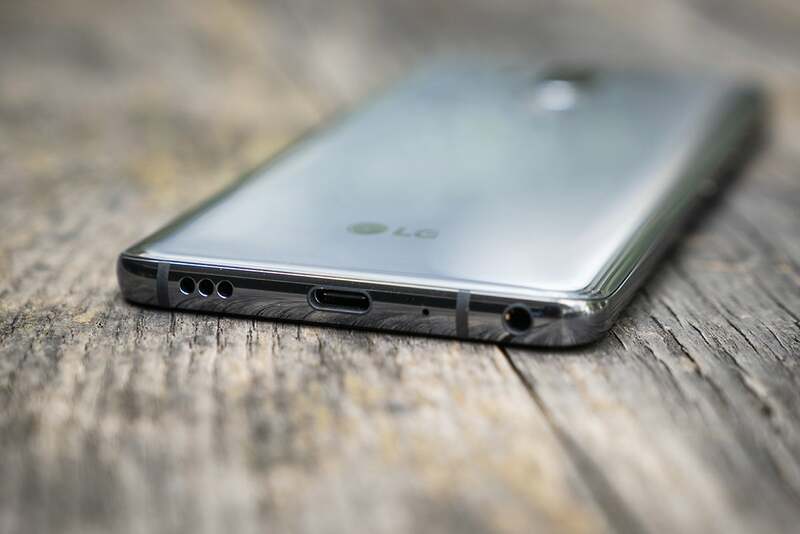 The headphone jack may be on its last legs, but LG is valiantly keeping it on life support, both refusing to remove it from its handsets and giving wireless devotees a reason to plug in. The 3.5mm headphone jack is powered by a 32-bit quad DAC, a feature that was missing from the U.S. release of the G6, and it’s one of the G7’s best features. The sound system on the G7 is the real star of the show. Anyone who’s plugged a pair of headphones into the V30’s Quad DAC will tell you how stark the difference is between it and a regular 3.5mm jack. It’s not so much that sound quality is noticeably better when listening to a Spotify playlist, but LG offers an unsurpassed set of sound customization options that light up when you plug in a pair of headphones. The G7’s supercharged headphone jack lets you tweak the sound you hear via presets, filters, and balance buttons and sliders, so you get far more granular control over your tunes. There’s also DTS:X that kicks in when you plug in an external speaker, but the killer audio feature that’s exclusive to the G7 is the speaker on the phone itself. While it doesn’t have true stereo sound like the Pixel 2 or iPhone 8, its down-firing speaker has a 40 percent larger driver than the G6 and uses the space inside the phone as a resonance chamber to deliver deeper bass and louder overall sound. LG calls it the Boombox Speaker, and it’s not a gimmick. Compared to earlier LG phones, the speaker sounds noticeable fuller and louder when lying flat on a table, and because the acoustics change depending on the type of surface, you can experiment with different materials (my ash veneer particle board dining table sounded best to my ears). Where other phones have their AI engines infused across all aspects of their OS, LG has put all of the G7’s smarts into its dual 16MP camera. I still don’t quite understand what the ThinQ branding is all about (pronounced “thin-queue” not “think,” by the way), but LG is marketing its camera as a smart one, and there’s no denying that it’s capable of taking some pretty great pics in all kinds of light. Even in extreme low light, the LG G7’s Super Bright Camera (right) is able to pick up detail and color that the Galaxy S9 (left) and Pixel 2 (center) can’t see. In fact, the G7 actually excels in the worst kind of lighting. Thanks to its Super Bright Camera, the G7 doesn’t need much light at all to capture impressive detail. In my usual dark closet test, the Pixel 2 and Galaxy S9 struggled to pick up much of anything resembling detail, but the G7 grabbed accurate colors and shapes that my eye could barely see. Granted, these aren’t high-quality images, but the tech at work here is impressive nonetheless. The AI Cam is another story. LG has built a brain into its camera app, and when you switch it on—by tapping the prominent AI Cam button in the viewfinder—LG's artificial intelligence will go to work, attempting to identify what you're shooting and adjust the settings accordingly. As you aim the camera, words will appear on the screen to show that the AI Cam is hard at work. Watching the identifying words fly by is fun to watch—and make fun of, because it’s rarely correct. In most cases, the AI-infused pics were much better than those taken in auto mode. Still, it took far too long for the AI Cam to register anything. 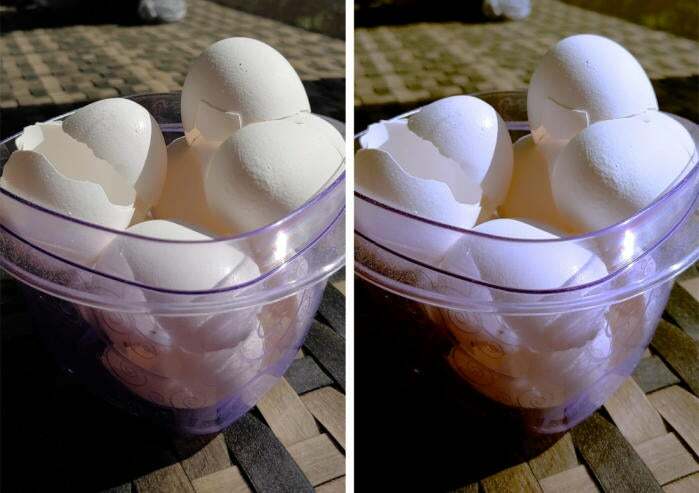 With the AI Cam turned on, the G7 was able to pick up the slight purple hue of the container these eggshells were in, but it takes far too long for it to work. By the time I received a buzz letting me know that the AI engine had made its adjustments, the photo I'd wanted to take was long gone. When it worked, pictures often had richer colors and stronger highlights than the same shot taken in auto mode, but the time it takes to spring into action won’t be worth it for most people. LG says the camera will learn over time, but presumably people will need to use it first, and that might be asking too much. While the V30 erred on the side of oversaturation with this photo of a healthy plant, the G7’s undersaturation (right) made it seem sick by comparison. Only the Pixel 2 (center) got it right. With the AI Cam switched off, the G7 took excellent photos, with some minor struggles. Motion shots were softer than similar ones taken with the S9 and Pixel 2, and some photos were a bit too undersaturated for my liking. Additionally, some of the cooler shooting modes from the G6 have been jettisoned in favor of a more streamlined experience, so while you might miss things like Match Shot and Popout, ultimately the app is much easier to navigate. Also, the field of view in the wide-angle lens has been slightly narrowed to 107 degrees, down from 125 degrees in the G6 and V30. LG says that’s to reduce the fish-eye effect, which it does, but addition through subtraction isn’t exactly ideal. We’ll be running the G7 through our usual battery of tests for our Last Cam Standing series, so stay tuned for the official word on how it stacks up to our current champion, Huawei’s Mate 10 Pro. Should you buy an LG G7 ThinQ? The G7 is a prime example of an in-between phone, but it’s dificult to say what LG is waiting for. It’s a clear improvement over the G6 and the V30, but the G7 isn’t strong enough to stand or excite on its own. And there are just too many LG phones to choose from. As I mentioned before, LG has far too many flagship phones for sale, and there isn’t a whole lot to make the G7 stand out in LG’s own lineup, let alone a crowded Android field. 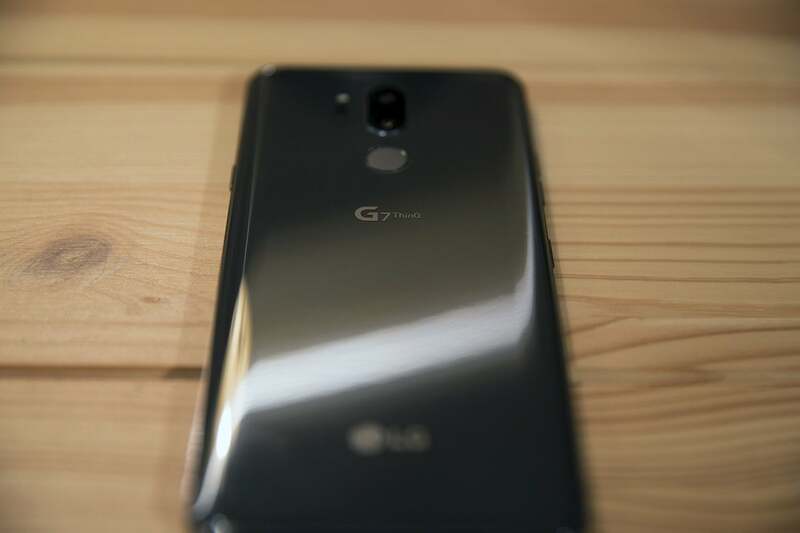 The G7’s all-glass design is reminiscent of the G6. At least not without ThinQ-ing really hard about the decision, anyway. Good looking screen with a disappearing notch. Fantastic sound through the speaker or headphones. Battery is just OK and performance suffers under the weight of its OS. Camera is a step backward, even with its AI-powered eye. Joins a lineup of too many similar phones from LG.